Conveniently, I discovered this pie just after conquering a successful meringue. 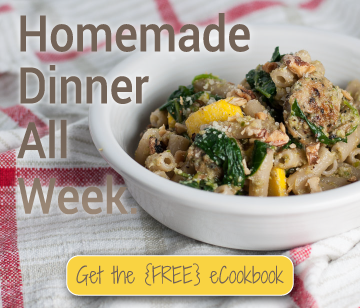 The original author touts it as a no-bake dessert, but since it still involves the stovetop, it fits right into the theme of the week with the release of my Summer Stovetop eCookbook (subscribe for a copy!). I’m the kind of girl who finds any kind of crust-less cheesecake utterly pointless, and this super rich, chocolatey, creamy graham cracker crust on steroids is right up my dessert alley. 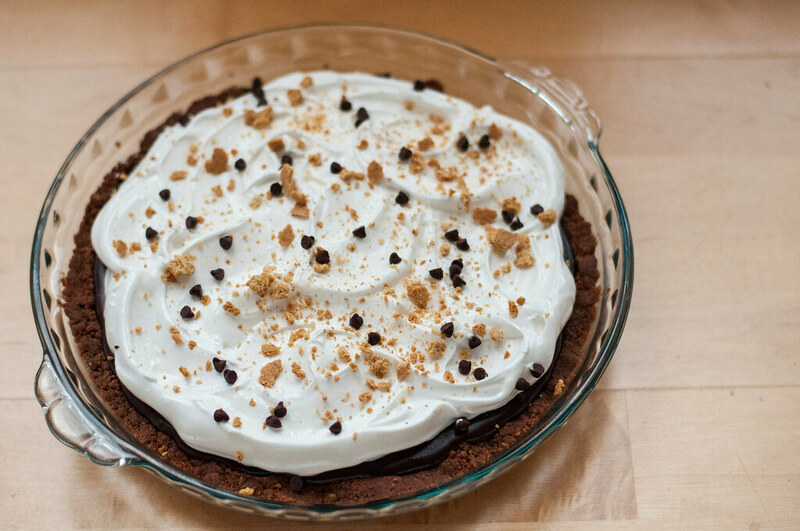 Can you say no to a graham cracker crust that involves Nutella and butter? I didn’t think so, and neither could I. I’m not sure if the quantity I consumed before pressing it into the pie pan on the first go depleted too much of the crust mix, but my adaptation includes a substantial crust layer and the convenience of being done in one step and 8.2 seconds flat in the food processor. 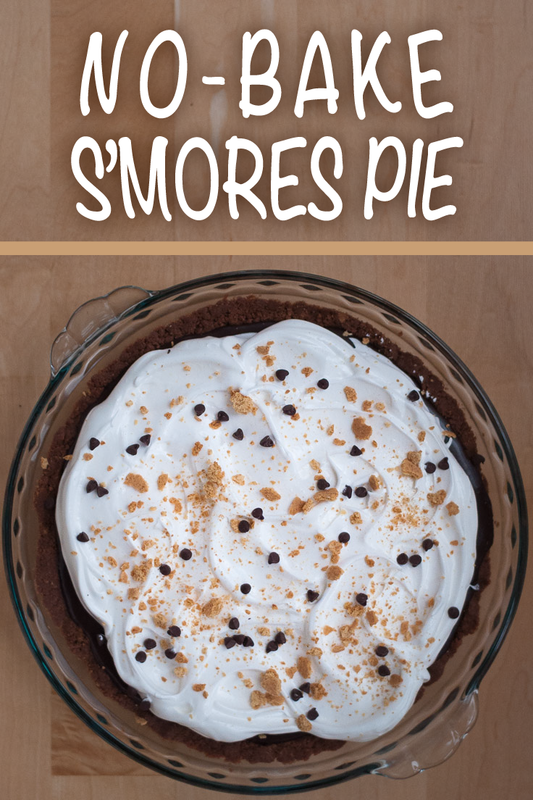 One technical detail before you jump into this pie–the chocolate. I didn’t want to hassle you with going out and buying gourmet baker’s bittersweet or semisweet chocolate with exactly 58.2973% cocoa content, so I tested the recipe with good ol’ Toll House semisweet chocolate. It worked just fine, with one caveat. If you prefer a really firm ganache, you should choose a higher (but not exceeding 61%) cocoa content than the more sugary chocolate chips. The Toll House chips produced a softer chocolate layer than when I tested the pie with a bar of dark chocolate. Whether or not it’s the correct scientific analysis, in my real life tests, I found that…higher cocoa content=firmer ganache layer. The pie was absolutely scrumptious either way, so don’t let chocolate prices or availability deter you. Food safety note: Meringue involves raw eggs. Use discretion in feeding this dessert to children or those with generally weak constitutions. 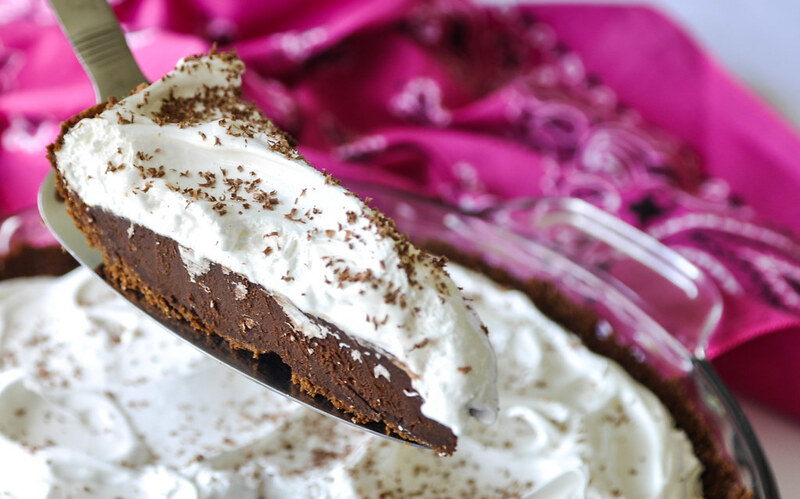 While it detracts from the pie’s show-stealing qualities, whipped (or perhaps marshmallow) cream may be substituted to be conservative. 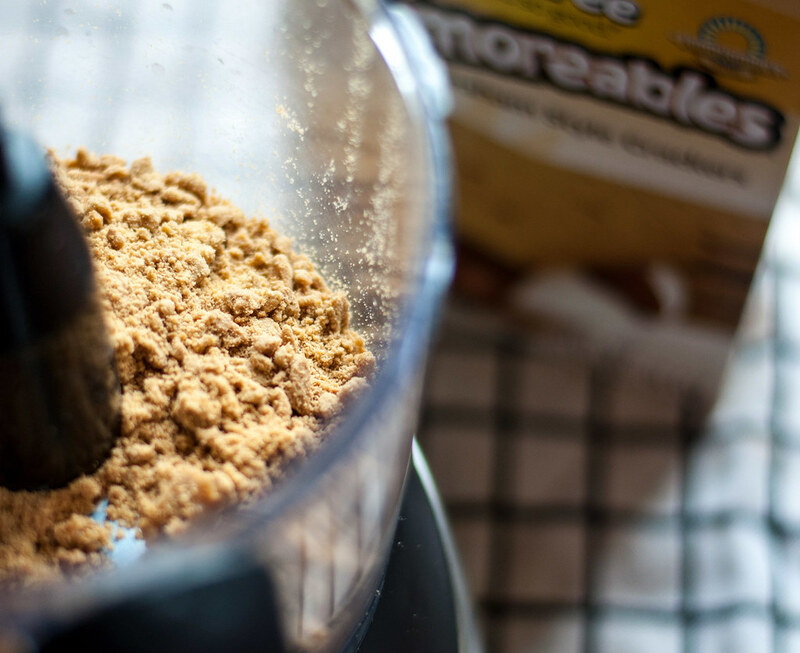 In a food processor, pulse the graham crackers briefly until they’re broken into coarse chunks, making it easier to add the other ingredients. Melt the chocolate (not the hazelnut spread) and the butter in a dish together in the microwave, in 30 second intervals at 50% power, stirring after each interval until liquid. Add the mixture, plus the cream and hazelnut spread, to the food processor. Process until a consistent mixture of fine crumbs forms. Pour into a standard sized (9 inch) pie plate (glass if you have it), pressing it down to form a crust on the bottom and halfway up the sides of the pan. Put in the refrigerator for 30 minutes. When the crust is almost chilled, bring cream, coffee grounds, and 2 T water just to a boil (start at medium heat and slowly increase to achieve a boil) in a small saucepan that has a lid. Turn off heat after reaching a boil, cover, and let stand for 5 minutes. While waiting, chop the chilled butter into ½” cubes. Place in a heatproof bowl and add the chocolate chips. Strain the coffee and cream mixture into the bowl of chocolate and butter through a fine mesh strainer (do not line the strainer with a filter). 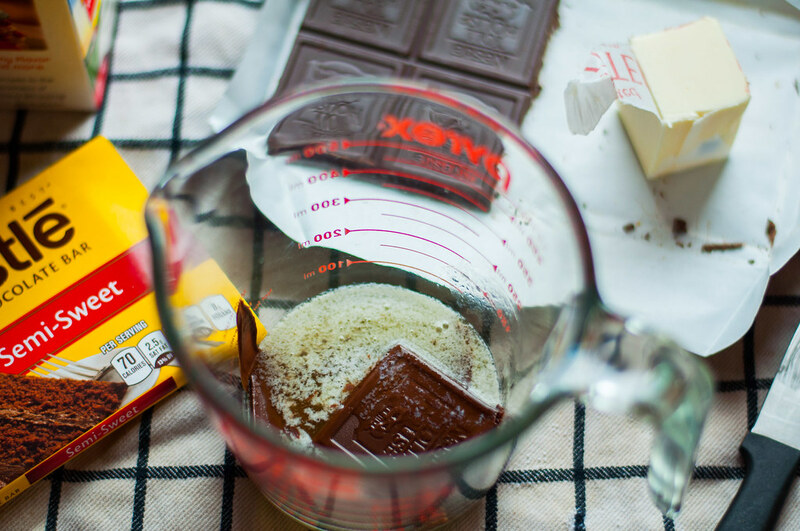 Stir until the chocolate and butter melt and everything comes together to form a smooth, creamy ganache. It may take a few minutes, but it will get there. Resist the temptation to reheat the whole mixture. 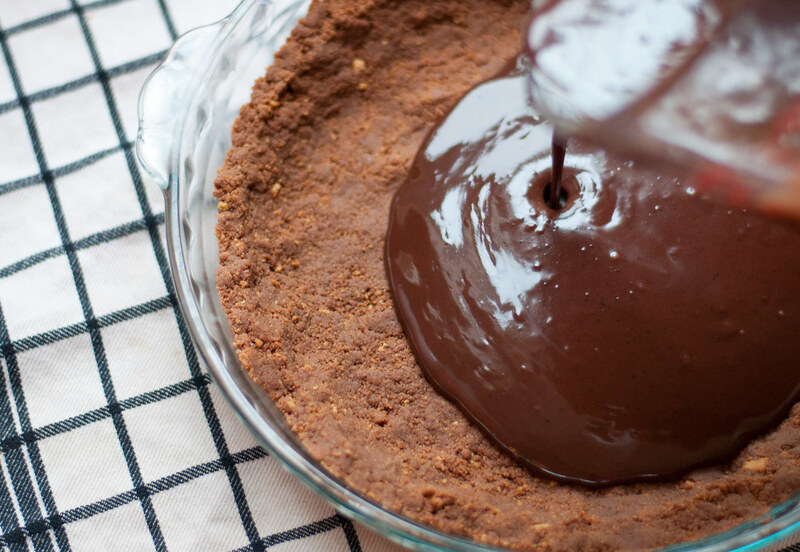 Retrieve the pie crust and pour in the ganache, spreading evenly over the crust. Chill for another hour or so, until set (it will be firm to the touch). Separate the 2 cold eggs. Cover and bring whites to room temperature (discard the yolks) while the pie chills. Once the pie is set, make the meringue (you can do it!). In the glass or metal standalone bowl or that of a stand mixer, use a thoroughly cleaned and dried whisk attachment (I wipe it down with a paper towel just before using) to beat the egg whites on medium-high speed until fluffy and opaque white. While the mixer is running, add 2 tablespoons sugar at a time, beating well after each addition. If your egg whites are uncooperative, before adding the sugar or discarding the attempt, add ¼ teaspoon cream of tartar without stopping the mixer (have it ready before you start if using a hand mixer). When done, the meringue should hold fairly stiff peaks. 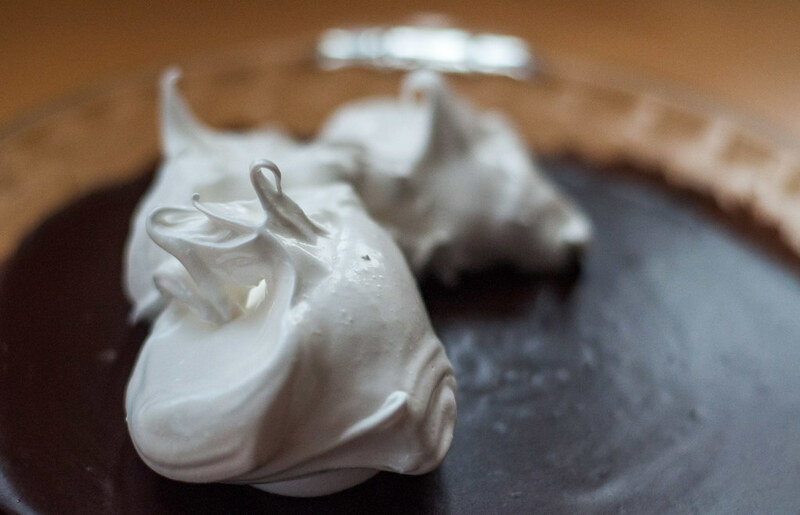 Top the chilled pie with the finished meringue, swirling and spreading it over the top. 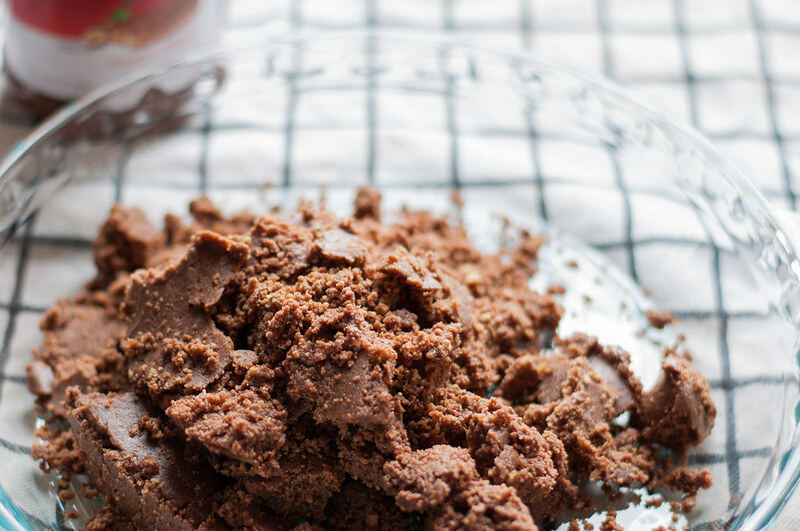 Sprinkle with extra graham cracker crumbs, mini chocolate chips, or chocolate shavings. Refrigerate for at least another hour or two without covering, until the meringue is chilled and set. Slice and serve! Use gluten-free graham crackers, which I did test with success, to make the entire dessert gluten free. Adapted from Bon Appétit magazine, July 2012.